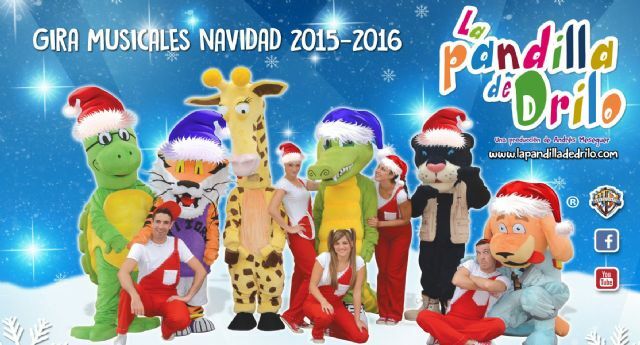 Child musical "Sing Dance: The Gang Drilo" held Wednesday in the theater of the Socio-Cultural Center "Jail", from 17:00, in the program of activities "Christmas and Epiphany" organized by the Department of Culture and Celebrations, respectively. The show features the performance of a host of characters and animals, with music, choreography and live songs of his protagonists. while at the ticket prices are 10 euros to 12 euros for children and adults. This is a musical show which tells the story of a crazy and clumsy scientist who invents a magical command that never works, to move to anywhere in the world who wants to visit. It's an exciting, fun and full of surprises, where the scientist and his friends run adventures and encounter unusual characters history.